Looking to refresh your thinning, tired locks? Our Fuller, Thicker & Intense Bundle is here for you! Combining our Scalp Detox, Hair Density Shampoo and Conditioner and Thickening Hair and Scalp Mask will leave you with the fuller, thicker hair you’ve been dreaming of. These minis are also the perfect travelling companion! Detox and exfoliate your scalp from impurities and product build-up that block the roots with this unique formula blended with Pomegranate Enzymes and Natural Castor Beads. With a cooling and tingling sensation from Menthol, scalp and hair follicles are stimulated creating the perfect environment for hair growth. 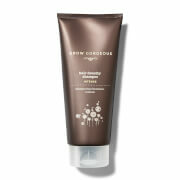 This specially formulated shampoo targets thinning and lacklustre locks which needs an added boost. Delivering gentle, yet effective cleansing to thin, flat hair through a blend of Amino Acids, Biotin and B Vitamins, bringing depth and thickness to locks. Density Conditioner Intense hydrates each and every strand of hair, allowing it to absorb essential nutrients to increase hair thickness Through a unique formulation of Hyaluronic Acid and Amino Acids, hair is left feeling softer, thicker and fuller. The new Thickening Hair and Scalp Mask deeply hydrates and moisturises the scalp to create optimum conditions for healthy hair to flourish. This unique multi-mask is enriched with Amino Acids and Caffeine to thicken thin locks, feeding strands with Biotin and Pea Peptides to ensure hair is healthy, thick and full looking. I used to use watermans shampoo & condition. 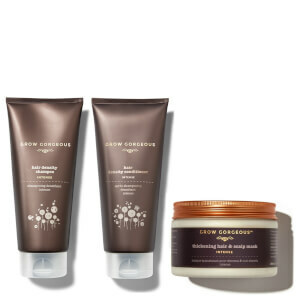 but Decided to try grow gorgeous collection absoulutly great stuff. I got the trial stuff first to see what it was like really loved it and I can see a big difference already and I've only used it 4 times. Leaves my hair so soft and feels cleaner for longer . Definitly recommend it. I use the scalp detox , hair mask and shampoo and conditioner. spend more money but it's worth every penny. Very 😊 my hair is growing and in better condition . I bought the trial size to try and really love it. I'v tried soo many shampoos but this is amazing! My hair feels light and bouncy where its normally flat and limp. 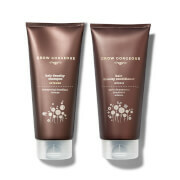 I used the scrub and my scalp felt smoother and i'v already noticed new growth. The mask itself is a real treat and left my hair feeling nourished. I will be buying the full size range now.